Posted September 8, 2016 by Declan Varley, Galway Advertiser in News. 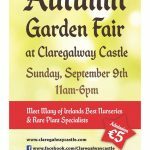 Claregalway Castle will host its Autumn Garden Fair this Sunday, September 11th from 11am-6pm. This fair will feature some of Ireland’s best nurseries and rare plant specialists—most of whom are members of Irish Specialist Nursery Association (ISNA). Acclaimed Irish Times journalist, author and gardener, Fionnula Fallon will present the Autumn Guest Lecture The Education of a Gardener at 2pm. This is based on some of different gardens and gardeners that have inspired and influenced her over the years. Dr Phil Havercroft of Leamore Nursery will talk on Peonies and there will also be a variety of informal practical talks and demonstrations. Coffee shop will be open. Come along and get all your gardening questions answered. Admission €5. Leamore Nursery—specialising in Peonies and other perennials bases just outside Ashford, Co. Wicklow. Future Forests from West Cork with their great selection of native and unusual Trees, Conifers, Shrubs. Climbers, Fruit trees and bushes, etc. Boyne Garden Centre—fantastic selection of perennials, grasses and unique collection of top quality plants grown in their nursery. This award winning Garden Centre has 8 successive Gold Medals including 3 medals for Best in Show at Bloom & Garden Show Ireland. 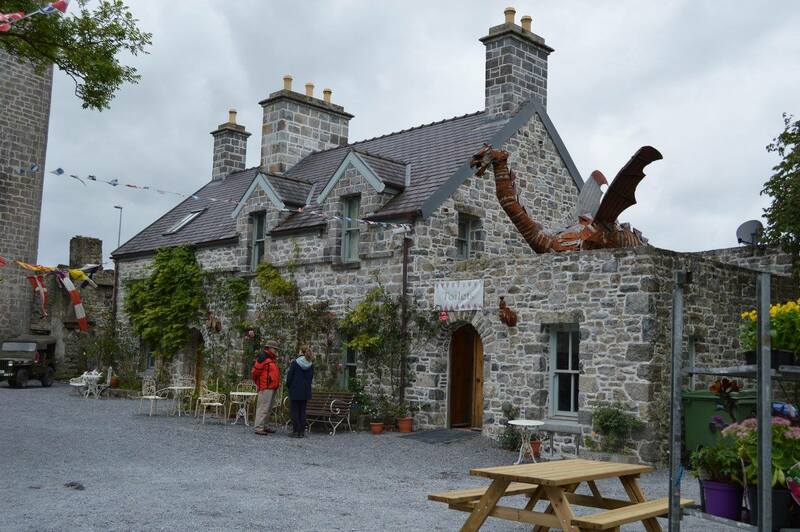 Caherhurley Nursery—Plants that are 100% home-grown, 100% Irish. Certified organic. Grown outdoors on a windy mountain slope. 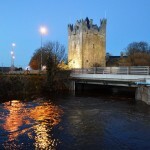 Rare Plants Ireland—Range of rare and unusual trees, shrubs and unusual trees, shrubs and perennials. Sarah Largue—Garden & conservatory artefacts contemporary and vintage. Deep Route Gardening—Medical herb specialists, hydrophonic, propagation and indoor gardening equipment. Pontoon Nursery—they will have colour for Autumn and beyond. Fuchisa million bells, rudbeckias, schizostylis, japanese anemones, sedums and selection of grasses plus much more on the day. 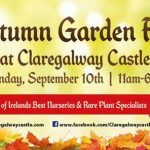 Dangan Nurseries Galway will be presenting a selection of trees and shrubs suitable for autumn colour also autumn bedding plants and bulbs for spring colour. Natural Growing Company will have a lot of chilli plants looking beautiful and veg plants for tunnels etc. Also in attendance will be Harrington Exotics, The Cutting Glob and Just Roses with a beautiful selection of Roses. Don’t miss this special opportunity to meet the experts as the gardening season gets underway. Autumn is an ideal time to visit a plant fair. The range of plants you will find looking at their peak in September is totally different to April and/or July. If you only think about your garden in spring and early summer you can find that you will have a beautiful, colourful garden at the start of the year. What with spring bulbs giving way to early flowering perennials and shrubs, these then overtaken by summer bedding, you can have a riot of colour up to mid-summer. However, come late August and September the planting will start to look sad as the summer bedding starts to fade. By choosing and planting some more plants for your garden at this time you can extend the period of interest up to the first frosts, and beyond. Autumn is also an ideal time to plant herbaceous perennials, trees and shrubs. The soil is still warm from summer, there is usually reasonable rainfall, but air temperatures are starting to fall. This means that plants planted now have a chance to develop a really good root system in the still arm soil but without the stress of producing lots of new top growth that warmer air temperatures promote. Also, this lack of top growth, and the wetter climate, means there is less chance of the newly planted specimens drying out and consequently the lower chance of drought stress checking growth. A good watering at the time of planting is still necessary but subsequent watering requirements should be reduced. However, even at this time of year water from the sky is not guaranteed and therefore you still have to be ready to intervene with extra water on your new plantings. There are many late flowering perennials that can help bring colour into the garden at this time of year. Many of the daisy family, Asteraceae, peak now, including Aster themselves, such as Michaelmas Daisies, Coneflowers (Rudbeckia), Perennial Sunflowers (Helianthus) and Helen’s Flower (Helenium), other outstanding perennials for autumn include kaffir lily (schizostylis), toad lily (tricyrtis), turtlehead (chelone), bugbane (cimicifuga now acteae), Japanese anemones (anemone x hybrida & hupehensis) and chrysanthemum. Also, many grasses are at their best now and can combine well in the herbaceous border, especially miscanthus and pennisetum. On the woody plant side there are many trees that have either good autumn leaf colour and/or bear coloured fruits, similarly, shrubs with interest in autumn include acer, euonymus & viburnum with autumn leaf colour, pyracantha, cotoneaster, berberis, euonymus & viburnum with coloured fruits and ceratostigma & mahonia x media that even flower in autumn. Autumn is also a time to look forward to spring as it is the time to plant spring bulbs. A range of spring bulbs including Narcissus, Tulipa, Crocus as well as some more unusual choices will be available on the day as well. 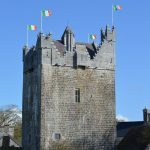 Don’t forget to save the date Saturday & Sunday October 1st–2nd 2016 for The Claregalway Castle Shield—Full contact Medieval Combat Tournament with combatants from across the world. Real fights. Real hits. Real excitement.